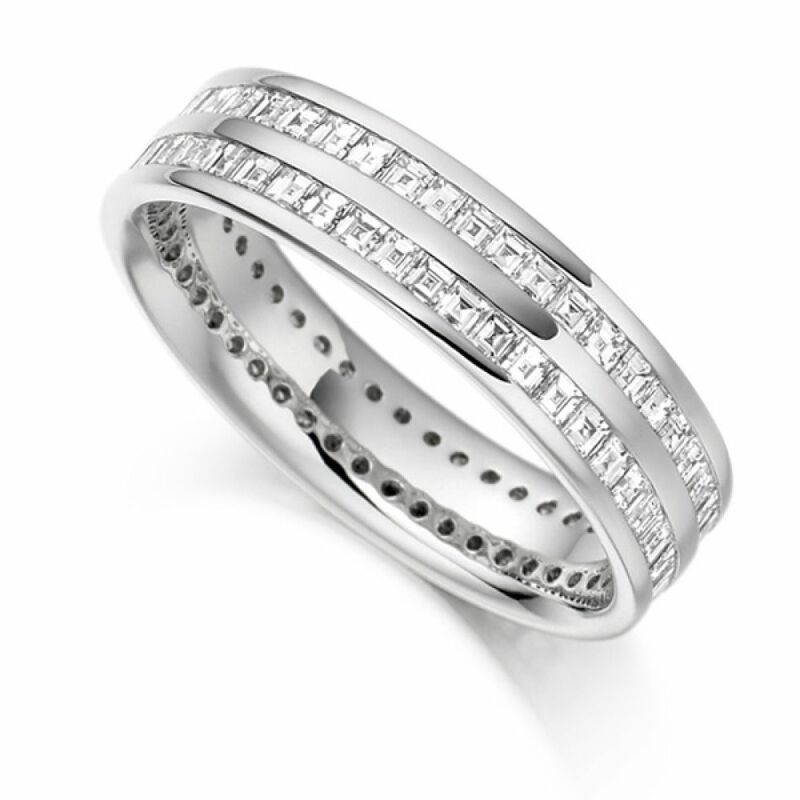 Carré cut full diamond eternity ring, set with 1.50cts of square cut diamonds in a 2 row 5mm channel set design. This spectacular fully set Eternity Ring features a double row around the whole ring set with a dazzling array of Carré Cut Diamonds. Each individual Carré Cut is secured within the channel setting. The Diamonds have been expertly matched to F/G Colour for whiteness and VS Clarity for incredible purity. The ring itself is 5mm wide and benefits from a comfortable band for everyday wear. Available to be at your door in 3-4 weeks hand delivered by secure courier. In a range of precious metals 18ct White Gold, 18ct Yellow Gold, 18ct Rose Gold, 950 Platinum and 950 Palladium.